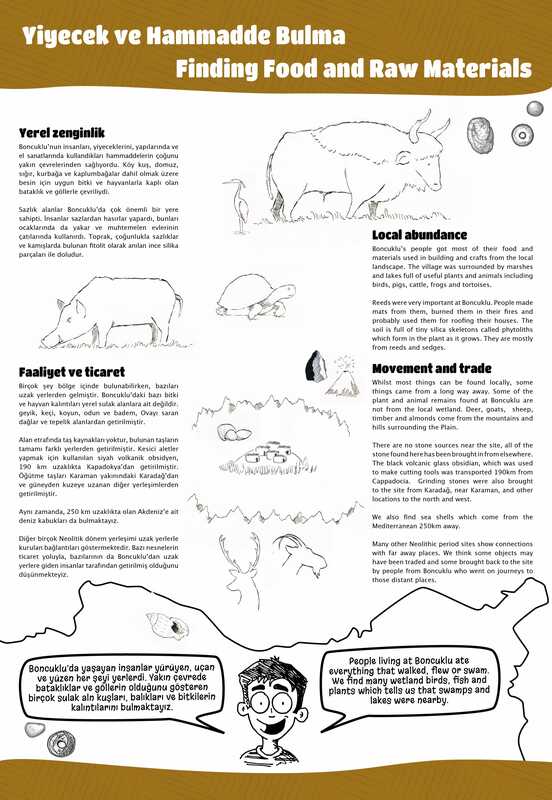 Discover Life in Ancient Boncuklu through these posters which we have produced for the Visitor Centre in Hayıroğlu. 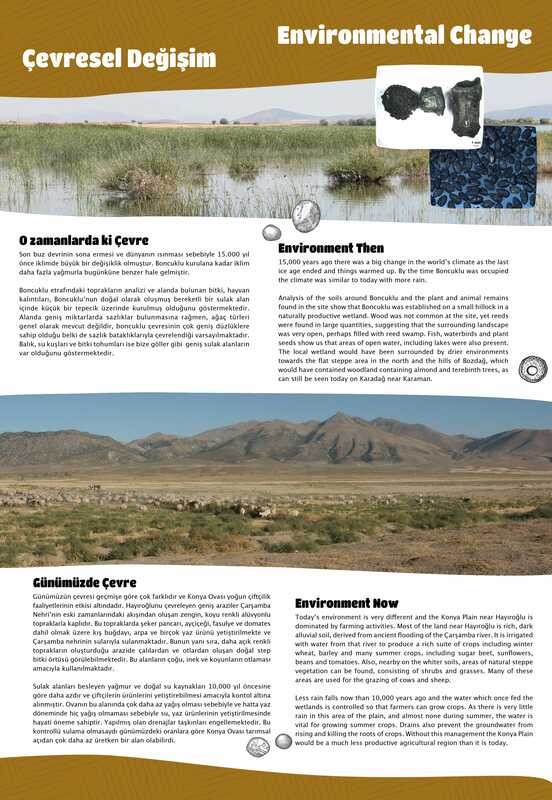 These posters present information about the site in both Turkish and English. Find out how the site was discovered and why it is called Boncuklu. 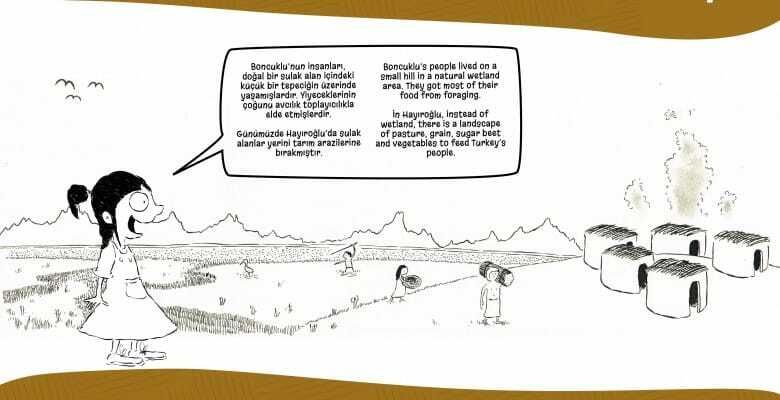 Learn about how Boncuklu existed at a time when people changed their subsistence habits. 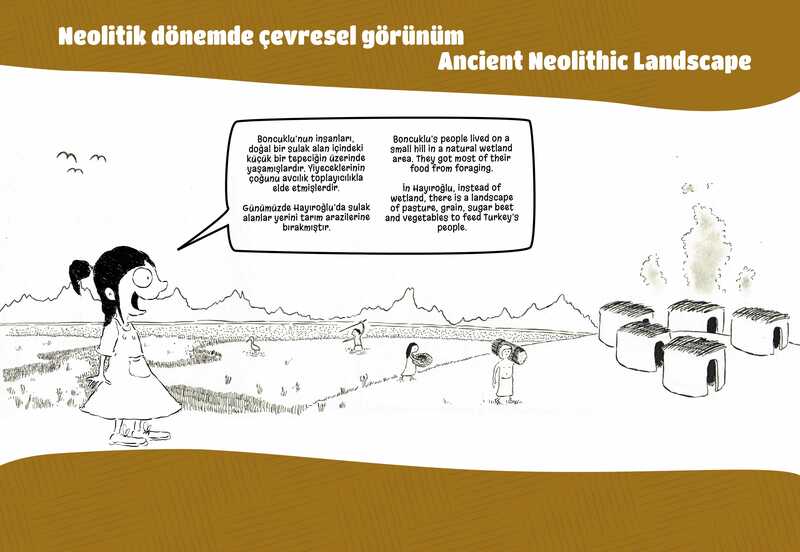 Understand how Boncuklu people found their food and other things they needed to live. 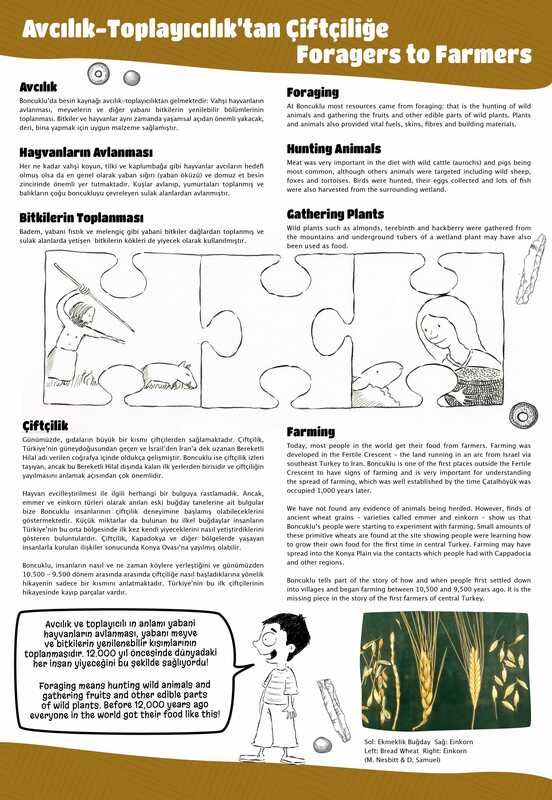 The climate was wetter 10,000 years ago on the Anatolian Plain and this poster looks at that difference. 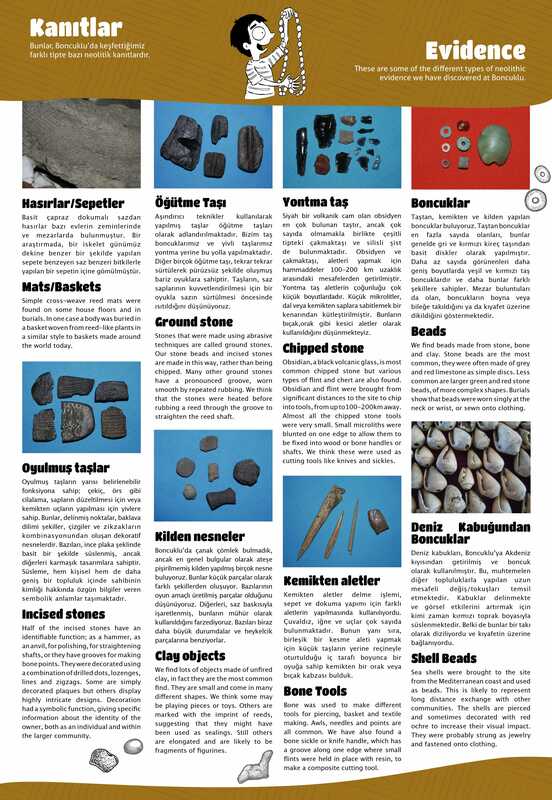 Marvel at the diversity of artefacts which have been discovered from Neolithic activity at Boncuklu. Get a sense of the view 10,000 years ago.